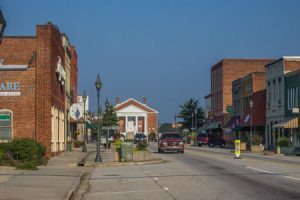 Word has been circulating the square and Main Street that some shops are “closing” while others are moving, and it all amounts to a kind of “Musical Chairs,” a game of long ago. In the game, folks jumped up from their chairs as the piano played and when it stopped they sat wherever. Now it is a bit more organized and planned, what is going on in Edgefield, but businesses are moving to new locations, and only one is possibly closing. The businesses told their stories to The Advertiser reporter, Tiffani Ireland, and our readers will find the facts written by her and as told to her by owners, new occupants and one store that is phasing out – the SPCA store. Wayne and Nancy Luquire will soon be ending their tenure as staples in the Edgefield restaurant scene as they plan to close Ten Governor’s Café, Friday, Aug. 30. “We’re not as young as we used to be,” Mrs. Luquire told The Advertiser when speaking of the pending close of the long established eatery. Not getting any younger and recent health issues help put the idea of retiring from the restaurant business in their heads, but, as Mrs. Luquire said, “An opportunity presented itself,” and so they took it. That opportunity involves another familiar name in the Edgefield food business, Chef Bob, owner of Chef Bob’s Café. Chef Bob will be taking over the Ten Governor’s location. He will close his current restaurant, located behind the Ten Governor’s on Simpkins Street, over the Labor Day weekend and will reopen in his new spot on Main Street the following week. “I think it will be a positive move for downtown,” Chef Bob told The Advertiser regarding his relocation. He went on to assure that diners can still expect his same “good, Southern style lunch buffet” as well as his current evening openings on Thursday, Friday, and Saturday nights. As for his future plans for the café, Chef Bob said he hopes to eventually add more evening hours and is entertaining the idea of one day serving breakfast. Of those loyal customers and friends, Mrs. Luquire said she and her husband would like to thank them all for their years of support. She also added that she hopes the community will support Chef Bob as they have Ten Governor’s. In fact, Mrs. Luquire said she and her husband plan to join in the community’s support as they intend to become regular customers of Chef Bob’s Cafe. So the next time you see the Luquires in their former restaurant, they may be willing to sit and share a meal with you, but they will not be refilling your tea. In explaining the reason for the move, Ms. Bland said some months back Mercy Me! ended its relationship with Doncaster. As they are no longer a Doncaster Outlet, they do not require as much space. Additionally, Ms. Bland said Mercy Me! will be “getting out of the flower business.” However, customers can still expect to see master flower arranger, Nancy Gilliam, as she will be staying on with the clothing store. Ms. Bland said the intent for Mercy Me! is to “just focus on being a boutique” but, added, the store will still carry the same lines, including the popular children’s line Melissa & Doug that they do now. Mercy Me! will close its doors on its current location at the end of business, Thursday, Aug. 29. They will celebrate a Grand Re-opening the following Thursday, Sept. 5. 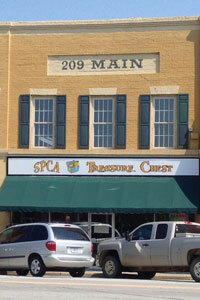 The Advertiser confirmed Monday, Aug. 26, that the SPCA Treasure Chest, located on Main Street, will be closing its doors in February. In speaking to The Advertiser regarding the close, Barbara Nelson of the SPCA said the downtown business was “breaking even at best.” Ms. Nelson went on the say the SPCA came to Edgefield with the intent to support the County in its efforts to build an animal shelter. 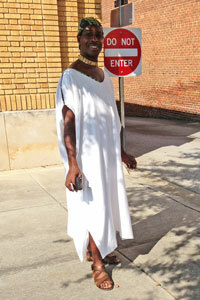 However, she said the organization can not continue to lose money in the town. For those who have supported the Treasure Chest, however, all may not be lost. Ms. Nelson said if community’s support increases for the store and it begins to turn a profit, the closing may be averted. However, if things continue as they have, the store will close when its lease expires at the end of February 2014.